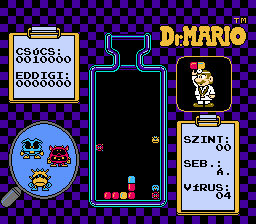 Hungarian translation for Dr. Mario. NOTES: PAUSE and START signs have been removed. 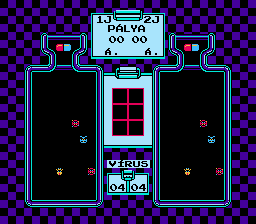 Moreover, 1. JÁT. 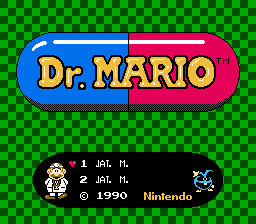 M. and 2 JÁT. 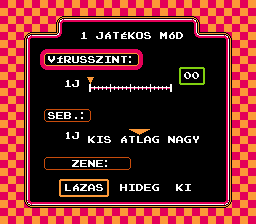 M. are ‘1 JÁTÉKOS MÓD’ and ‘2 JÁTÉKOS MÓD’.